The staff of Freskos Realty is a dynamic group of professionals dedicated to serving the very best interests of the folks that employ them for buying and selling real estate. 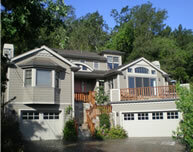 Freskos Realty is headquartered in Lafayette, California, an East Bay community just twenty miles from San Francisco. This is a multi-faceted company that provides an array of services rarely matched by other real estate firms. These services include Omega Mortgage Co., an in-house mortgage company that has the best of every variety of home loans available through the numerous major banks which it represents. Additionally, we make private money loans for a range of situations that banks cannot or will not do. We often provide convenient "bridge loans" for our clients. 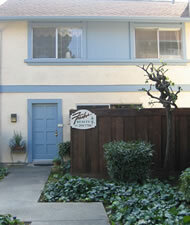 Conveniently located on the Plaza in downtown Lafayette at 3541 Plaza Way, Lafayette, CA 94549. Copyright Freskos Realty 2004. Site by Hunter Communication Design.